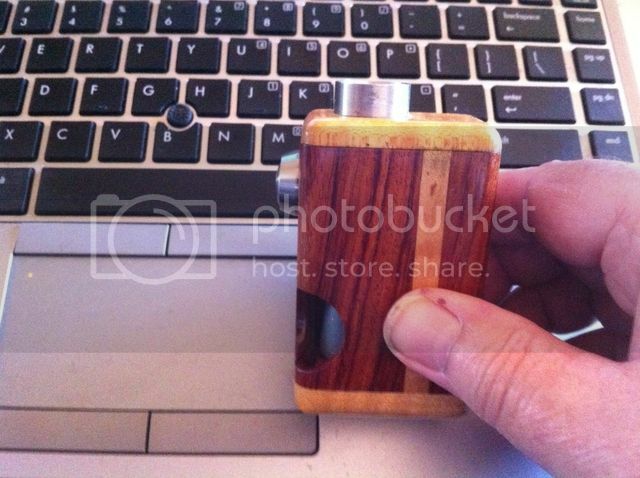 I have been chasing a small wooden (non stab) 18650 or 18500 box mod (can be dual if still small). Im struggling to find things in stock or that do not have dna boards in them. I did a search a year ago and struggled and now Im back at it all I still cannot find anything or at least anything that is in stock. If anyone has any ideas of any mod makers that make a mech box mod that is not stab I would love to hear about it all. My budget is around 200 (possibly 250 tops). No china stuff, thank you. Last edited by Captain; 27-05-17 at 12:53 PM. Cappy I have a Bogger Box I might be tempted to part with ..18500 squonker ? 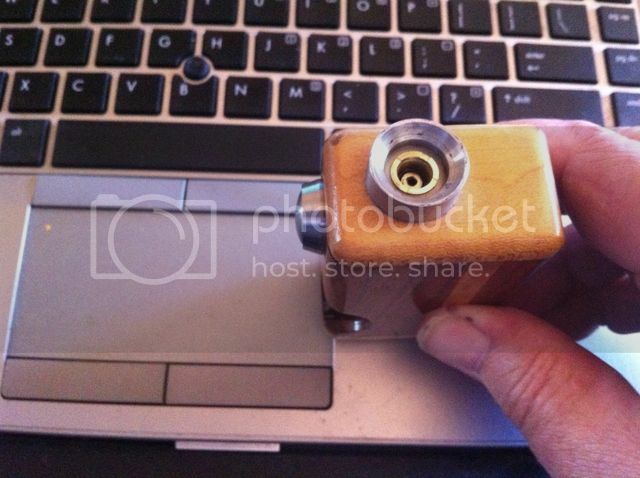 However it does have a downside for the modern vaper in that it has an old school catch cup ... this could be overcome with 510 to 510 adapter and a spacer ring to bring the connection up ...but really it was designed for cartos/tube atties/306lr or similar . Captain and merexy like this. Captain and MrGruffy like this. Or you could buy a wood floris box and make contacts. A & E metals cut silver to size. About ten or fifteen bucks will cover that. Captain and Fatman like this. I could be talked into parting with my sonar squonker, if it will suit? I've got that many squonks in constant rotation, that this poor little lass keeps gathering dust. Hang on, I'll throw up a couple of shots. Phone is on it's last legs, but hopefully this'll do. Captain, Fatman and merexy like this. And yup, the svapiamo is still up for sale. Put something for scale in the pics guys. Since capt's first preference is "small"
Think the luk is a mosfet, not full mech too. Mine has an 18650, cleverly hidden in the pic, for scaling porpoises. Captain, DogMan and Schtoo like this. all great looking mods... just a little bigger than i was looking for. I appreciate the posts and thoughts. Im looking into the Runt mods now, thanks DogMan. 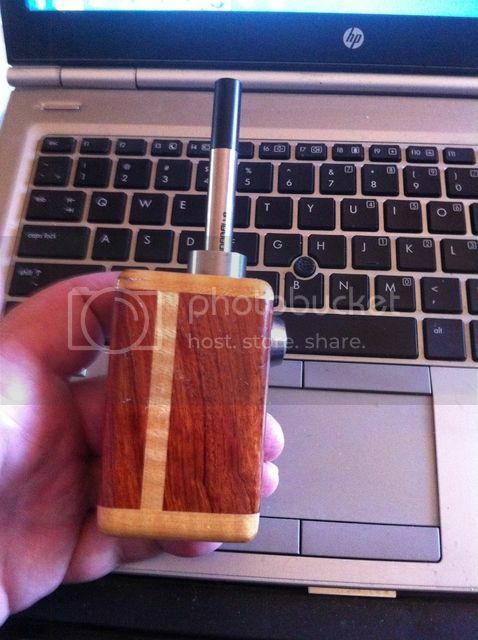 I wish MMVapers still made their standard wood mech box, they are all about the squonk now. Darwin mods also made some great looking dual bat mech mods... alas, seems to be no longer. I'm thinking I'll still tackle the search for a standard non squonk mech. Thanks again guys. Fatman, DogMan and rockmoose like this.